COME TOGETHER: Penny’s All-American Café is looking to the community to give back to breast cancer patients. Pismo Beach resident Penny Rodriguez is a force of nature. When her parents passed away from cancer, she turned that grief toward raising money for chemotherapy patients, and then into an annual dinner at her restaurant, Penny’s All-American Café. Now, for the eighth annual fundraiser, the event has grown in popularity, attendance, and activities. The fundraiser will feature a “Tip Your Hat to Survivors” competition with a reward for the person with the best hat. In addition, there will also be a complimentary barbecue dinner with the purchase of a ticket, as well as several other raffles and prizes available. Those attending can purchase one raffle ticket for $5 or five tickets for $20. The top prize is a seven-day stay in a condo in Mexico, Fla., or Las Vegas. Other prizes include a one-night stay at the Cliffs Resort in Pismo Beach, and a $100 breakfast at Penny’s All-American Café. 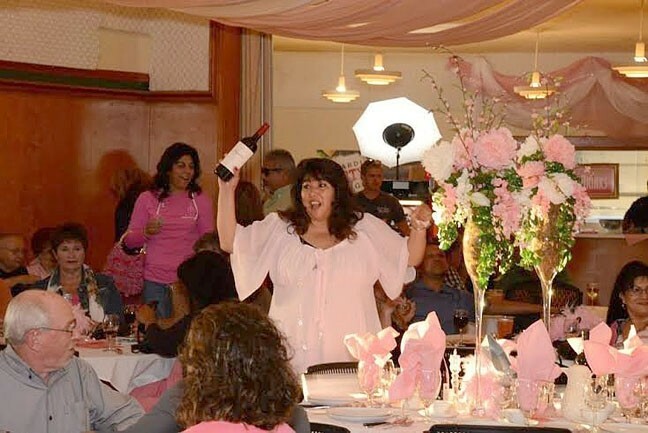 All of the proceeds from the fundraiser will be donated to the Jacqualyn Palchak Cancer Fund, San Luis Obispo County’s only cancer research program. The fundraiser will be on Oct. 4 and will run from 5 to 10 p.m. at 780 Bello St. in Pismo Beach. Tickets cost $45 when purchased in advance (either online or in person at Penny’s Café), and $50 at the door. For more information about the event, go to pennysallamerican.com, or call Penny Rodriguez at 748-5046. Woods Humane Society is now offering $10 cat spays and neuters as part of Petsmart and ASPCA’s program Spay it Forward: Neuter the Next. Woods is offering this service due to the growing number of animals at the San Luis Obispo County shelter that face the threat of euthanization to make more space. The program is available only for residents in Paso Robles and Atascadero because of the disproportionate amount of stray cats in those areas. For more information about the program, go to woodshumanesociety.org, or call 543-9316, Ext. 12. Intern Adriana Catanzarite compiled this week’s Strokes and Plugs. Send your nonprofit and business news to strokes@newtimesslo.com.